This tool would be helpful for webmasters who try to optimize their site for all the search engines. Fuzzfind web search is a special tool that helps people to search for a particular keyword in 4 major websites, which include 3 search engines and a social bookmarking site. Google, Yahoo! Search, Live Search and del.icio.us are the 4 major engines which are searched together for a particular keyword that we search and it calculates the average fuzz from all the 4 major websites and then ranks the websites according to the fuzz. The website not only needs to have top rankings in the 3 search engines but also has to get more number of bookmarks in del.icio.us to be higher and actually this is the best way to check the site’s user friendliness, as the site is bookmarked if at all people like it. My one problem with this is the factor of SEO. Many use SEO as a tool to rank well in google. This doesn’t necessarily translate into ranking well in other engines (although it can’t hurt). By combining all rankings, if you don’t do well in one or two engines but better in the others, it could be penalized. wow! you manage to have a great number of comments on this blog! congratulations! Hugo Santos’s last blog post..I have bought BuildaNicheStore! wooo… this save me time from ctrl+T all the time when want to open up a new search engine. All in 1 :), thats really make thing easier for my search. wow! this is a very nice and interesting tool! Seems pretty cool.. I might give it a shot on my site. This is very good articles , it have useful for me,I will try to use this tool. This is an interesting tool, just going to play around with it now. 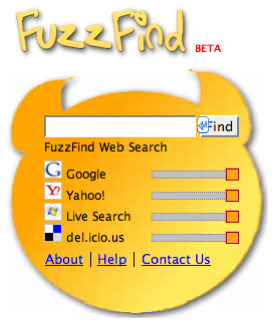 I think that FuzzFind is a great idea and will only continue to grow with popularity. 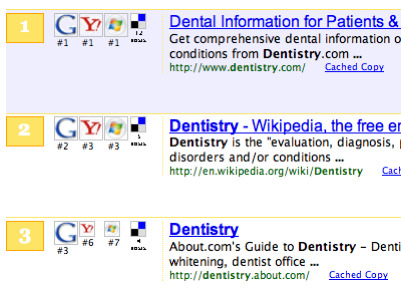 What I like about Fuzzfind is that it takes a good average from the various search engines and brings out results. Something innovative here.